Eleonora and David got married on the 27th of September. 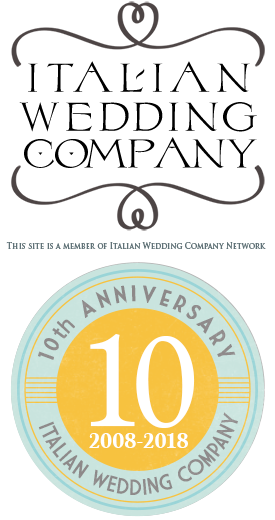 This was a special event planned in association with Italian Lakes Wedding Team. You can have a look to DAVID AND ELEONORA’S PHOTO GALLERY realized by Diego & Estella Photographers – Photo27.com. 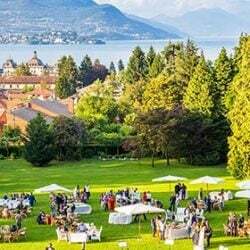 The Ceremony took place in the beautiful setting of Villa Rusconi Clerici in Verbania Pallanza, lake Maggiore. 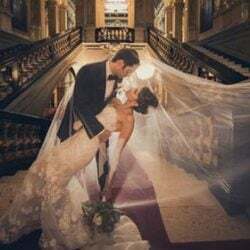 I would need very few words to describe what happened at their wedding (beautiful, romantic, full of joy and feeling, with everything going as planned…). Much longer is the description of the effort and the lovely care and attention to every detail that Eleonora and David put in the planning of their special day, and to the music in particular! Eleonora contacted me by email some months before the wedding date, in May to be exact. She and David decided almost at once that my jazz repertoire was exactly what they wanted for the aperitif. But they were undecided for the music for the ceremony: “I don’t remember if I mentioned it” writes Eleonora in one of the many emails we exchanged, “the ceremony will be Catholic and Jewish together…”. Therefore not only we needed to find music that Eleonora and David liked, that could accompany their ceremony, underlining the special moments, giving everybody emotions and so on (as usual!). We most of all had to find pieces that were not too closely connected to one of the two religions or traditions represented during the ceremony, songs or music that could be impartial. This, I must say, took a lot of time! I suggested many titles, Eleonora and David put forward some other songs and music pieces… But we could not reach a decision. So we thought it was time for a meeting! Eleonora and David came to Italy and we met in Milan. We tried to talk everything over, while having a drink in a bar (I remember Eleonora was happy because she had finally found the right shoes for her wedding dress!). 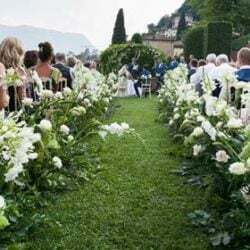 A lot of technical aspects arise: since the ceremony was supposed to be held in the garden of Villa Rusconi Clerici (a wonderful spot right on the lake!) while the aperitif was to be served in another part of the garden, we decided that I would take two PA systems, one for the ceremony and one for the aperitif. I also pointed out that, since the ceremony was to be held in the open air, the Rabbi and the Priest were going to need a microphone (and also the bride and groom, unless they wanted to shout YEEEEES I DOOOOO! to be heard by all the guests), and I offered to complete the PA system for the ceremony with a wireless mike. We considered all the details: types of plugs and extensions, parking, place to get changed and to stock the instrument cases, plan of the villa… but still the question of what music should be played during the ceremony remained unanswered! In the end (after some more emails) we decided: the pianist would play Pachelbel Canon for the entrance of the bride, Sonata Patetica by Beethoven, Meditations from Thais, and Kinderspielen by Schumann. We agreed that the pianist should adjust the length of these pieces according to the times of the ceremony. For the exit Eleonora and David had one special request: “…there is a song that is just our song and should be perfect for the exit… It is Via con me by Paolo Conte. Now, I don’t know if it is in your repertoire or if it is a problem…”. Of course it was not a problem! Via con me was not in my repertoire, but I prepared it especially for Eleonora and David’s wedding! Then finally the big day came! 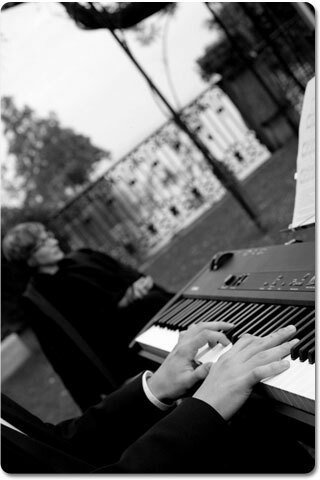 The pianist and I arrived at Villa Rusconi Clerici in time to set all the instruments and PA systems before the guests arrived. I must say that Eleonora’s father has been great: he had prepared all the electric extensions, the right sockets and everything we needed! We were all worrying for the weather, that had been cloudy all day long. But when Eleonora arrived, while David was waiting under the gazebo beautifully decorated with white roses, a ray of sun burst out through the clouds, making her entrance really unforgettable!